The First Step - It all begins with open discussion, which usually will last about an hour. At this meeting, we listen to Your Thoughts and Desires related to your business and the Image that you want to portray to Your Customers. At this point we will begin to suggest strategies and site design features that will directly address your goals. Budget will of course play into the conversation, but we’re confident that we can help you on any scale. The Look - You’ve entrusted us to Design Your Website. From our initial conversation, we will have an idea of what you are looking for, so we will not trouble you any more about it. You can leave it to us, and take respite in the fact that we fully guarantee your satisfaction! Site Navigation - This is the map that will direct Your Customer to the area of your Site that they are interested in at that moment. Based on user studies, navigation (nav) buttons that appear to the left of the screen and horizontally on top (in that order) are the best locations for an Internet user to easily navigate through your Site. When there are many pages, and/or many topics, we would enlist the use of Drop Down Menus to better organize your Site’s content. Content Authoring - After establishing Your Site’s Navigation, content will need to be written and added to each respective category. There are three ways to accomplish this: 1) You or your designee would supply electronic files of text which we will add to the corresponding categories. 2) You would supply electronic files of text that we would Edit, and add to the corresponding categories. OR 3) We will Professionally Copy write your entire Site. . Image Integration - We will optimize all images that you supply to bring them to their highest possible quality while limiting “load” time to its absolute minimum. We will add in most cases, industry specific stock images to your Site beyond those that you provide. The Mock-Up - The next step is the Mock-Up. 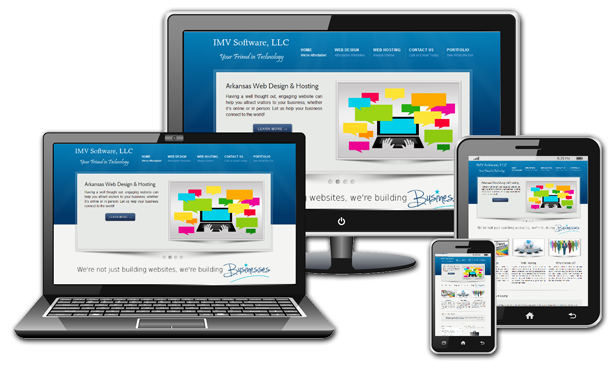 You will see firsthand, the overall look and structure of Your Future website. From here, we will continue to make all necessary changes until You are happy with our interpretation of Your vision. The Final Stage - The walkthrough… At this point, you will basically proof your Site and dictate any alterations that need to be made. E-Commerce and Shopping Carts - Developing an E-Commerce Site is more involved, and will require escalated discussions as to the marketing methodologies that you will want to enlist. Just like the Brick & Mortar business, you want to guide Your Customer through your store in such a way that they are enticed by your selection, but able to quickly find what they want, and check out. We will then need to determine the structural details, payment systems, and customer tracking options that you require. WWW. - Whatever the directive, we will exceed your expectations. When we make a promise, you can take it to the bank. We always return calls, and we take your project very seriously.